Since the Silk Road was so long, most merchants on it were involved in relay trade rather than outfitting an expedition to take them all the way from China to Europe or North Africa. One merchants would for instance purchase a quantity of silk in China, and then travel westwards with it until he reached a market spot along the silk road, e.g. an important oasis, where he could sell it. He would then return to the east to make a new purchase, while the new owner of the silk would bring it farther west, before selling it to yet another merchant. This way, textiles, species and other goods could change hand numerous hands before reaching the final owner, and several notable market spots grew along the Silk Road. The Silk Road spanned numerous countries and cultures, and because of the relay trading, some merchants would find themselves in a situation where the currency they accepted when selling the goods where not a currency that they could use to make a new purchase of goods. Because of this, currency trading (currency exchange) became necessary. Currency trading was easy as most coins value was dictated by the precious metals in the coin. A gold coin of a certain weight would have the same value every where and a currency trader could therefore exchange one coin for other coins of the same weight without having to worry about exchange rates. The fixed value of the currencies prevented the currency traders along the silk road from engaging in the type of speculation you see currency traders engage in on the Forex market (Forex market = Foreign Exchange Market). Today, the currency market is a place where traders try to make money by benefiting from the fluctuations in exchange rates. The currency market, or the FX market as it is also called, has become a market place with a lot a volatility. But this is historically a very new situation. The USD was tied to gold up until 1973 and it is only after the USD, and other currencies, was left to float that it became possible to earn a profit speculating on the currency market. Another option for traders along the Silk Road was to instead of coins use items of value that they knew most merchants were interested in regardless of country and culture, such as silver and gold. Sometimes this still meant coins, since a merchant was likely to accept payments in gold and silver coins even if he had no knowledge about the ruler who minted them. Also notably, items that were frequently traded along the Silk Road could turn into almost a type of currency in themselves, since the peoples living along the Silk Road knew that there was a liquid market for them. If you accepted payment for your services in the form of Indian sandalwood, Chinese silk or similar, you knew that it would be fairly easy for you to barter it for other goods that you needed. While goods such as silk and spices tend to decompose quickly under normal conditions, metal coins are much more durable and numerous coins from various epochs and geographical regions have been found in many different locations along the Silk Road routes. This provides us with very interesting information about how currencies were circulated along the trading paths. Two major currencies used along the Silk Road are the silver drachm of the Sasanian empire (Neo-Persian) and the gold solidus of the Byzantine empire (Eastern Rome). Since they were made from precious metals, they were ideal for international trade, and a lot of drachm and solidus coins have been found as far east as China, e.g. in Gansu in the northern part of the country, where they have been buried together with merchants and officials of foreign origin. It is unclear to what extent foreign coins that reached China were ever used as currency there or even exchanged into Chinese currency by currency traders. Many gold and silver coins seem to have been regarded by the Chinese as jewellery rather than currency. We do for instance know that some of the coins were used as pendants and to adorn clothes. The coinage of the Sasanian empire (circa 224 – 651 CE) consisted of hand struck coins displaying the Sasanian ruler on the obverse. Right from the start, the monetary system of the Sasanian kingdom was dominated by the silver drachm, since Ardašir I – who founded the Sasanian dynasty – inherited this system from his Parthian predecessors. The early Sasanian silver drachm was struck at a weight of circa 3.7 grams, but this would later change. Eventually, Ardašir I launched a complex system that involved fractions of the drachm, such as the hemidrachm (half-drachm) and the obol (1/6 of a drachm), as well as gold dinars weighing 7.2 – 7.4 grams each and thus being heavier than the standard Roman aurei gold coin. These valuable gold coins were probably never intended for widespread circulation. Ardašir I’s complicated system did not survive the first century of the Sasanian dynasty, and things soon reverted to a more basic system. Also, new golden coins weighing 4.2 grams where issued parallel to the heavier ones. With their lower weight, they were more similar to the 4.5 gram Roman solidus. 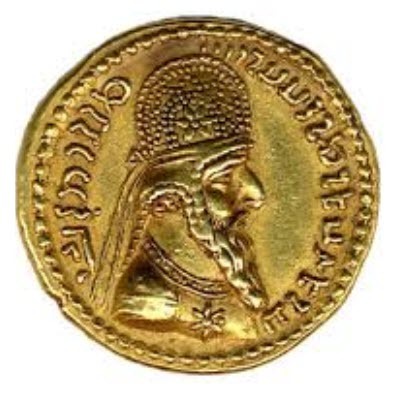 So far, coins have been found for 32 different Sasanian rulers, and the coins’s strong similarity across the empire indicate that the striking of Sasanian coins was always under the control of a centralized authority. 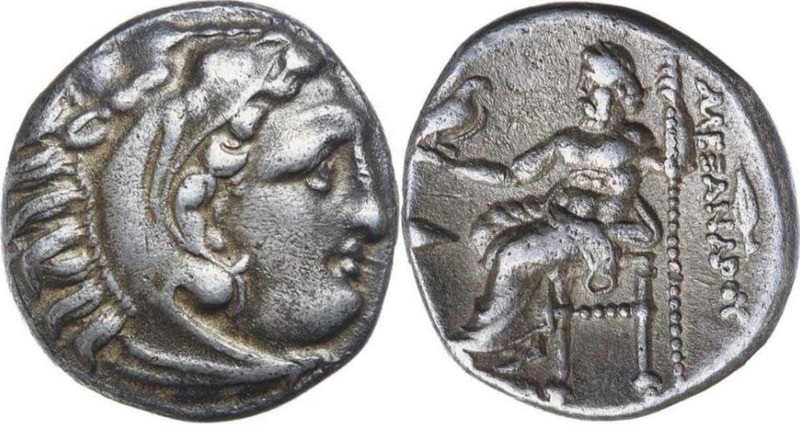 During the first part of the empire, the coin dies were mostly produced by the local mints themselves, but from the mid 5th century CE, they were almost always centrally manufactured and then transported to the various local mints. Sasanian silver coins were normally made from metal discs (flans) that were thin and broad rather than thick. Especially towards the end of the empire, the use of such thin discs resulted in a “dead spot” on the coin where parts of the die image became obscure because of the thinness of the flan. 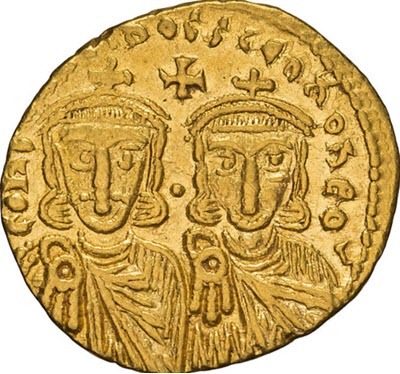 Towards the end of the empire, the general decline of Byzantium meant that no golden solidus coins were issued – only silver coins called stavraton and some minor copper coins. The Byzantine rulers established and operated several mints. There was the main metropolitan mint in the Constantinople, but also provincial mints in certain other cities and towns – especially during the 6th century CE. By the mid-7th century, most of the provincial mints had been closed down or lost to invading forces, but the one in Syracuse on Sicily remained until the city was lost to the Muslim Aghlabids in 878. From 878 and onward, the mint in Constantinople was the only source of Byzantine gold and silver coinage until the late 11th century when provincial mints were created again. Some of these provincial mints would eventually be under the de facto control of autonomous local rulers rather than the centralized Byzantine authorities, as the Byzantine world fragmented. The mints in Constantinople and in Trebizond were in use until the cities were taken by the Ottoman Turks in the mid-1400s. Along the Silk Road, coins inspired by well-known imperial coins (e.g. from the Byzantine empire, the Chinese empire, or the Sassanian empire) have been encountered in many places. Calling them counterfeit money isn’t really fair, since they were made of valuable metals and thus had an inherent value for bartering rather than a value guaranteed by any imperial authority. We do for instance know that the famous Sogdian traders used both genuine imperial coins and coins that looked very similar to Sassanian coins and Chinese cash coins, and archaeologists have even found coins that look like a hybrid between Sassanian and Chinese money. The Sogdians were among the most prominent traders of the Silk Road and the Sogdian language even became a sort of lingua franca for the Silk Road trading stations. 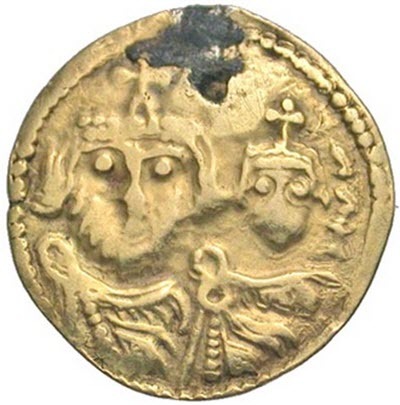 Sogdians frequently functioned as middle-men between traders from various cultures, so it is reasonable to assume that such middle-men would have been very familiar with coins from various empires and kingdoms, and been able to help strike deals in situations where the actual counterparts were unfamiliar with each other’s currency systems. The Sogdians were an Iranian people hailing from the strategically located Transoxiana region of Central Asia – an area that today belongs to Uzbekistan and Tajikistan. The heart of the Sogdian lands was the famous Silk Road city Samarkand. Sogdian merchants and interpreters travelled extensively throughout the Silk Route and many settled outside Transoxia – e.g. in Gansu where non-Chinese coins have been found in graves. In the New Tang History, written around the 9th century CE, it is said that “Men of Sogdiana have gone wherever profit is to be found”.